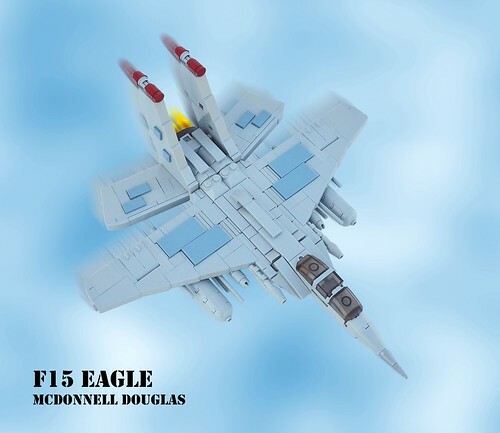 According to builder Kai NRG/Geneva, his own grandfather helped develop the F15 Eagle. There can't be a more appropriate reason to take on building a model of this fighter jet, and I think Kai produced a magnificent model that I'd love to hang from my ceiling! The subtle angle of the wings, the excellent cockpit area (which is not easy at this scale, I might add), and the inclusion of some interesting choice in elements combine together to create this creation. I see no reason why Kai's grandfather could not be proud of this design.